The Cane Connection is dedicated to the highest levels in chair caning, rush, and all other aspects of chair seating. 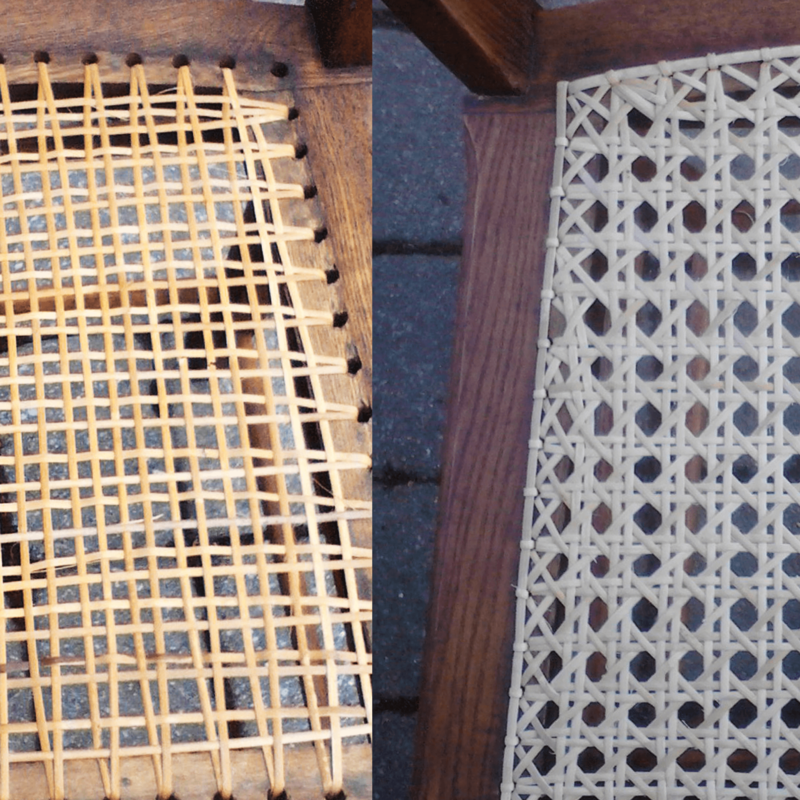 Hand-cane, pressed cane, woven and rush chairs once common, are becoming harder to find because few people have the skill and knowledge needed to do the intricate weaving. Caning and rushing is a unique and almost lost art. However, thanks to Cynthia and Steve, who are happy to cane and rush your heirloom and daily use furniture the art is not lost. They take special pride in repairing and rejuvenating your furniture. The Cane Connection has been proudly serving the Richmond and surrounding areas for 20 years. We will identify what kind of caning you need. Come to the shop or we’ll come to you, evaluate your piece and give you a price. With an appreciation for old houses, furniture, tools, door locks, light fixtures, anything old, I have spent many years fixing things. Restoring old things and working with my hands has for all my life been a pleasure. Most things today cannot be fixed. 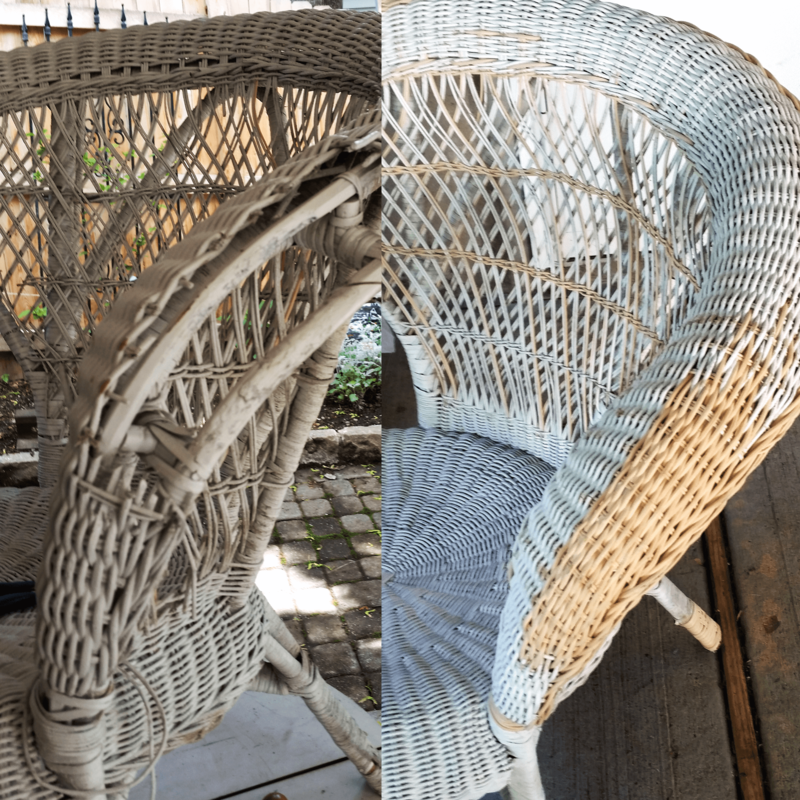 I had a porch chair that needed a new seat so I taught myself how to fix it. It became an obsession. There are so many beautiful things to cane! Hand caning and weaving is time-consuming, meticulous and very satisfying work. Using renewable resources, carrying on an ancient craft, generating little hazardous waste add to my sense of well-being. Giving new life to a well-made piece of furniture and returning it to you ready to sit on and touch again — makes me smile. 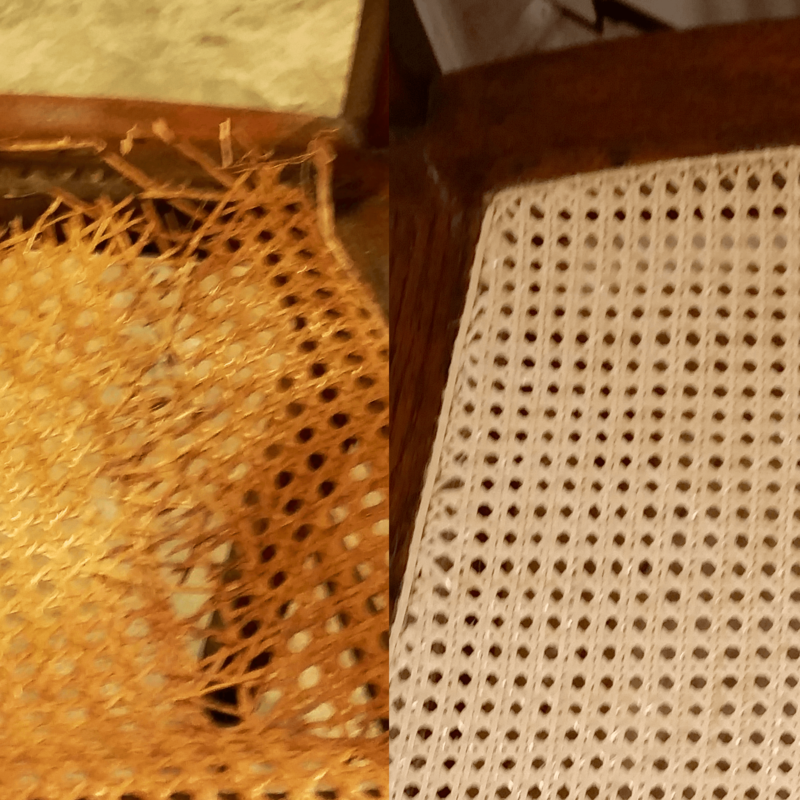 This chair arrived as pressed cane but it has been restored to its original hole to hole. 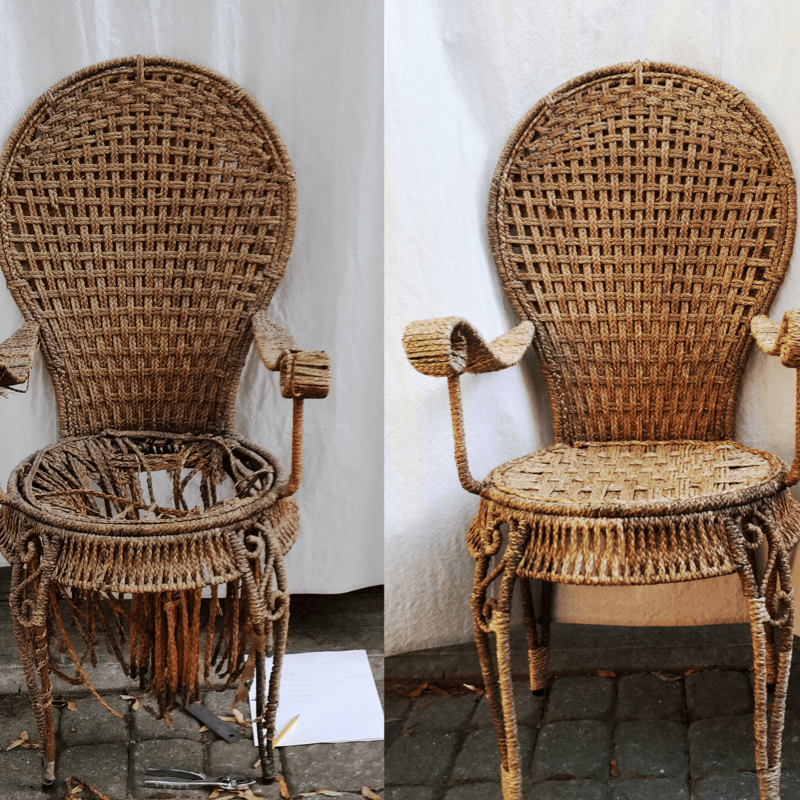 The chairs owner passed before re-caning the chair. Her daughter called us and now has the “Nanny Nice Chair”. Truly a labor of love, it arrived in pieces, the Grandmother’s rocker from their beach house. This one fell apart at Christmas and was home by New Years. 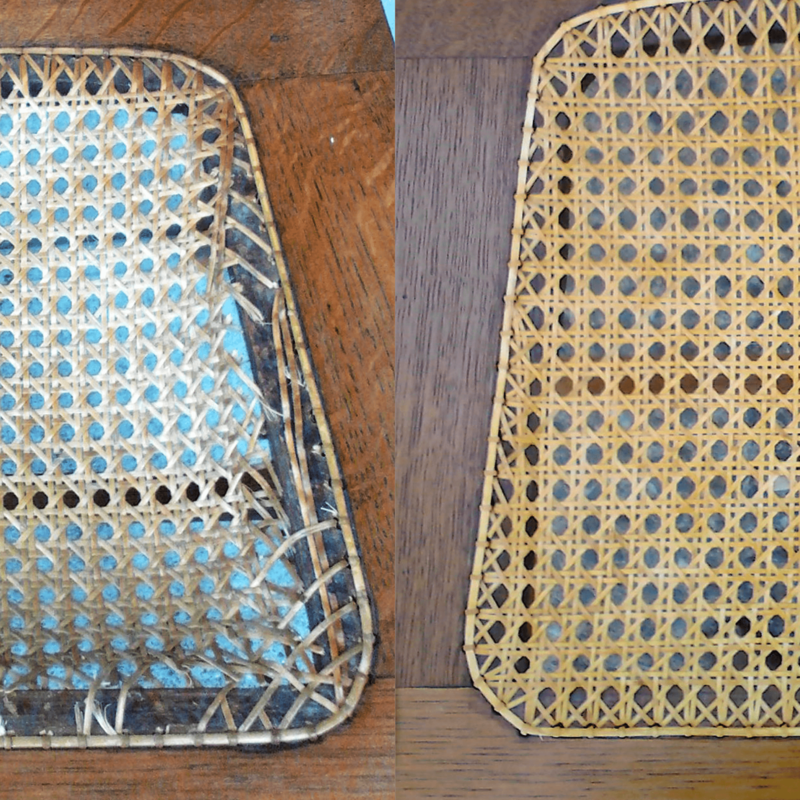 Unusual back – had to be woven weft and warf at the same time, from the bottom up. 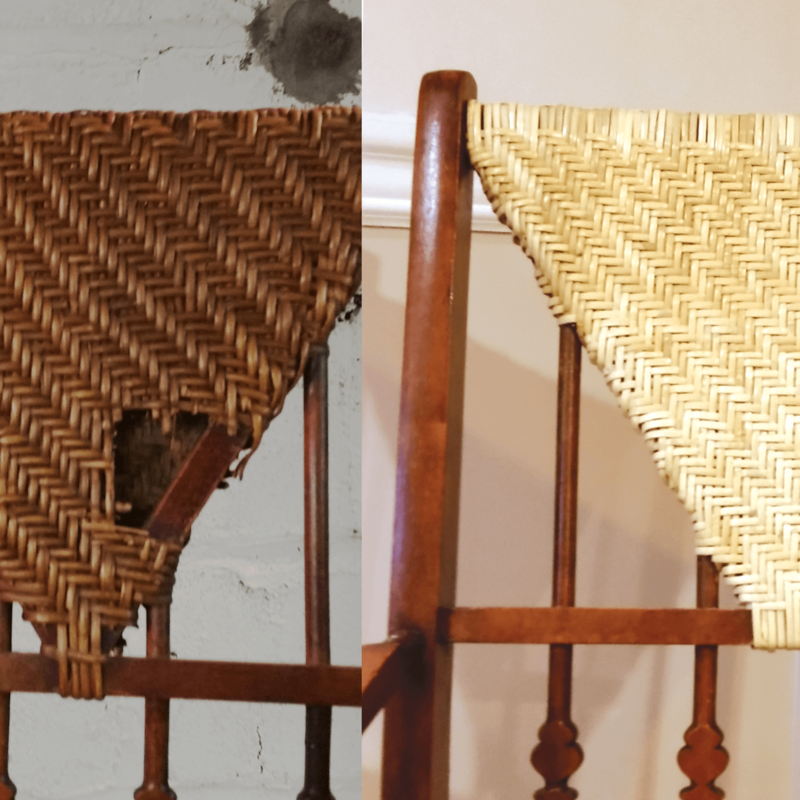 “We carried these broken chairs through several moves over 25 years, now they are as good as new. 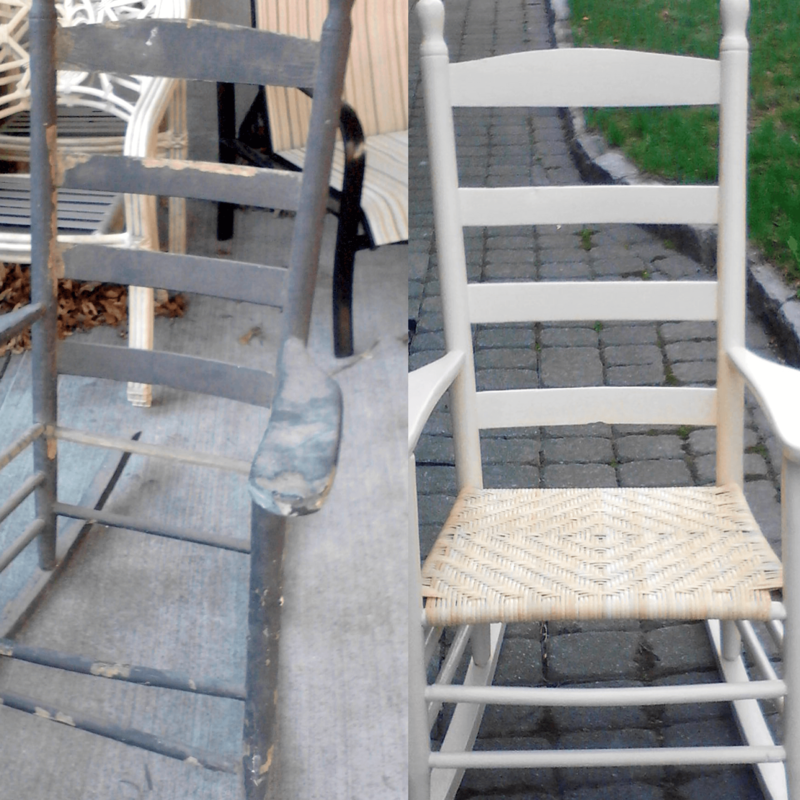 Another weary chair brought back to life. 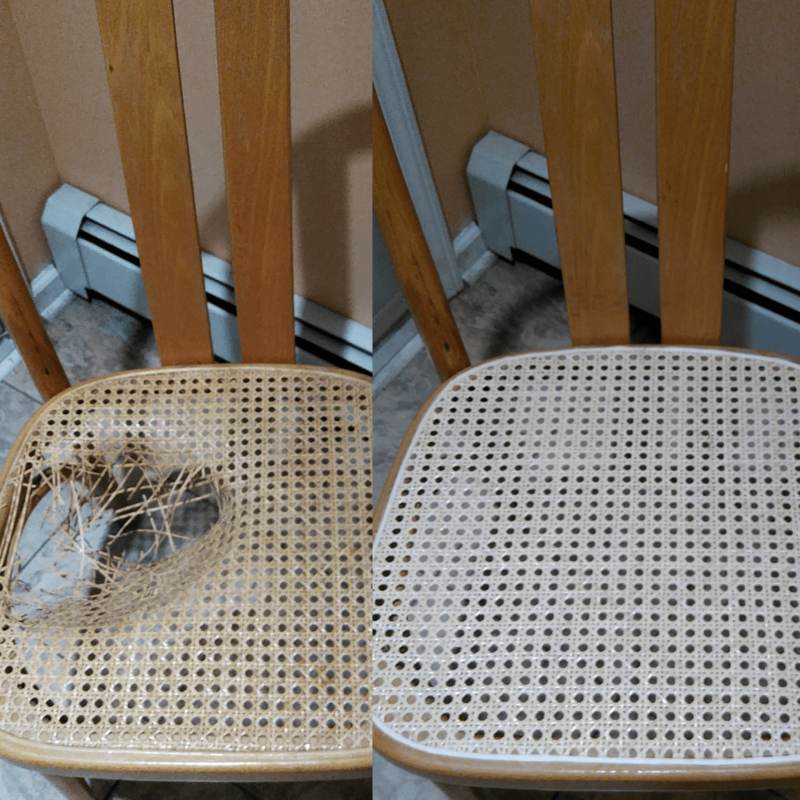 This chair had a run in with a candle well after it had seen better days. Now it’s ready for painting.